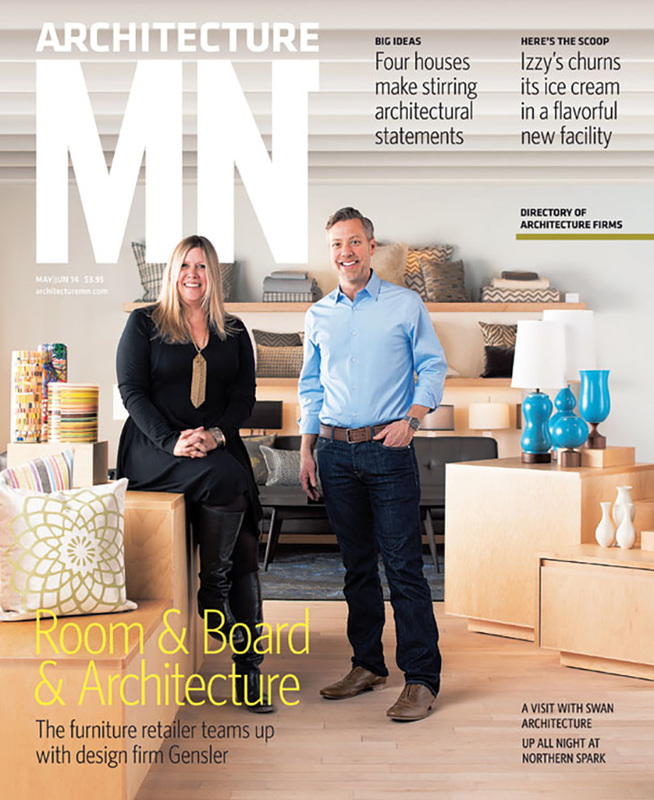 The latest issue of Architecture MN tells the story of Room & Board’s longtime partnership with Gensler. The design firm plays a key role in building out our showrooms in Culver City, Atlanta, Washington, D.C., Seattle, and Boston. Every one of our store buildings is different and reflects the neighborhood where it stands. Our approach to finding new store locations typically involves restoring buildings rather than tearing down and building new. This allows us to preserve the beauty of the original design elements, and also to retain the integrity of the building in a way that fits the neighborhood. 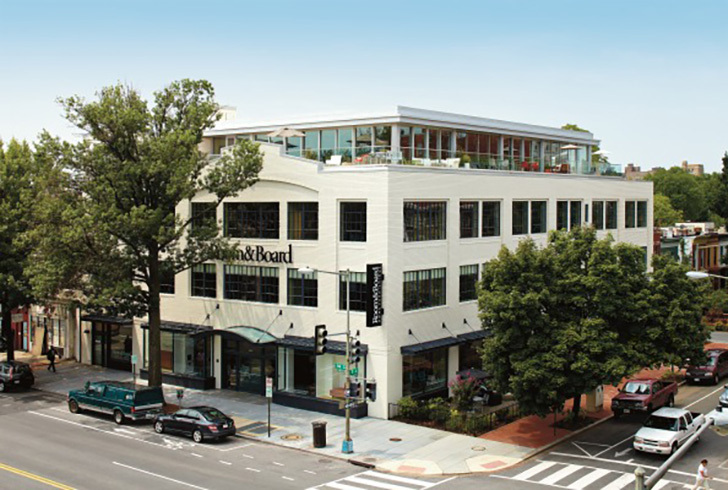 Preservation is one more way for Room & Board to be a part of the community. Our Washington, D.C. store is a perfect example of this philosophy in action. 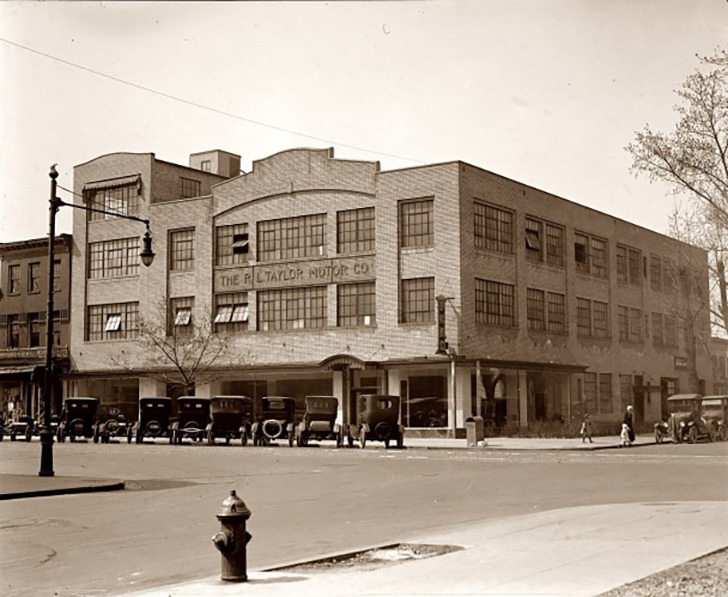 Originally built as an auto showroom for Ford Motors in 1919, the building was part of Washington’s Automobile Row. At the time of occupancy, the building had been vacant for four years and the original, large showroom windows and awning were bricked up. To take the building away would change the face of the community. It would no longer be the same neighborhood. That’s why it was important to us to save this building. To rehabilitate it to make it structurally safe and sound while preserving its historic character and playing a part in its ongoing history.